Why is it that in many universities the number of women professors can literally be counted on the fingers of one hand while the number of men number in the hundreds? Why are women academics so relatively disadvantaged and men so firmly in control? 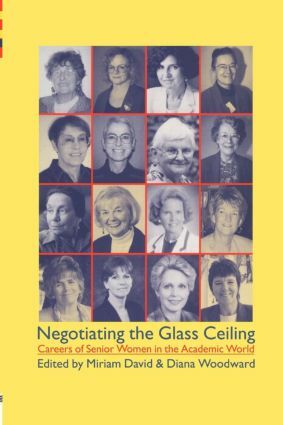 In an attempt to find answers to these questions Negotiating the Glass Ceiling gathers together the unique personal reflections of 16 eminent women working in higher education across the world. These personal reflections document some of the changing patterns of women's lives in higher education since the war, a time of massive social change within education itself, as well as in women's lives outside higher education. They also illustrate that the changes that have occured have been hard won and not without consequences for the women involved.